Clients can avail from us Cardan Shafts that are required for mechanical power transmission in several industries. The Cardan Shafts that we offer are sourced from the reputed manufacturers and vendors. 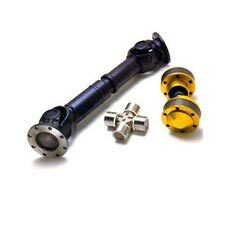 Clients can avail Cardan Shafts in standardized and customized models from us. We are a prominent name as Cardan Shafts Supplier in Kolkata, West Bengal.